Yep the name pretty much sums this one up. She is a luscious purple bombshell that no designer, market goer or avid gardener can resist. She seduces all with a 6" deep purple bloom that performs all season long. Can not live without this one for the dark and stormy or jewel tone bouquets. 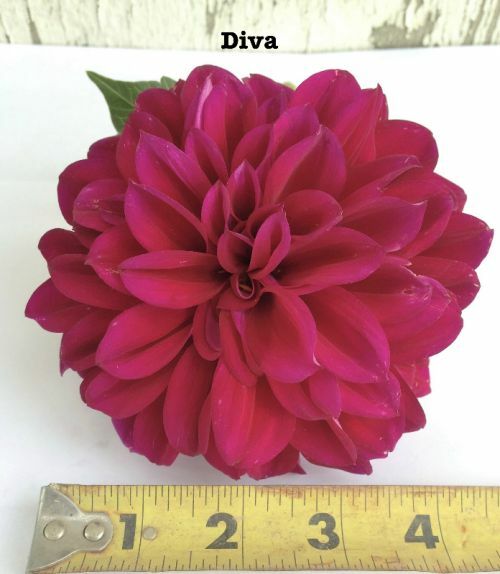 ORDER CERTIFIED ORGANIC DAHLIA TUBERS TODAY ! All content property of Zephyros Farm and Garden. 11466 3725 Rd.., Paonia, Co. 81428.